FAQ Friday: Where Can I Find the Student Achievement Certificates? When a student has completed all of the lessons in a Learning Upgrade course, they earn a certificate of achievement. If all lessons have been completed at a success rate of 95% or better it will be gold. If the student has a success rate of 90%-94% a silver certificate will be earned, and a bronze certificate will be earned for a success rate of 75%-89%. 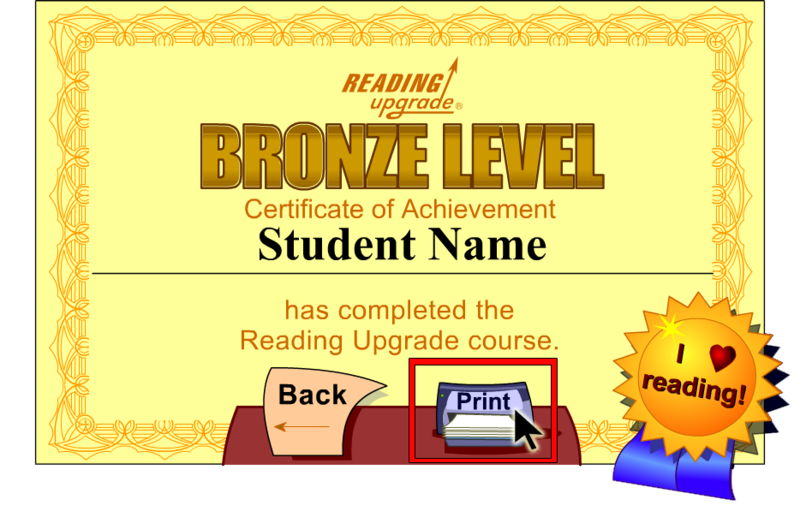 Teachers can easily view all students who have completed the Learning Upgrade courses at these levels and print out the certificates. Step 3: In the student monitor, you can sort your students so that those who have earned a certificate appear at the top. Click the ‘Certificates’ icon at the bottom. ← FAQ Friday: Where Can I Find the Learning Upgrade Parent Letter?